Picture the life you want, then remove everything that isn't in the picture. Christmas is the time to honor Jesus for coming to us to bring salvation. How does your season honor Him? Or is it too full of stuff-and-junk to see the manger? So, essentially, ADHD is "making little boys sit still and be quiet like little girls." Yes, I know girls have it too. I have a lot of symptoms of it myself. But its not like any of us in America get enough movement in our lives. And boys are affected by ADHD in far higher numbers. We need to quit acting like there is no biological difference between boys and girls and treat them how they need to be treated. I have often suspected that God prefers homeschooling more for the parents benefit than the child's. Illness is getting better. Hope we are well by Christmas. I once realized I needed to clean out my closet. I have to do this occasionally because it gets where nothing more will fit in it. So, I took everything out and sorted it; everyday tops, dressy tops, tops for cold weather, and so on. So overwhelming! How do you pick which to get rid of? I decided to start with the no brainers, the ones I knew without even thinking about it that I wanted to keep. These were the tops I wore every week-ish. My favorites. After taking those out of the stack and hanging them up, I turned back to my stack to decide what to get rid of. This may have been the only time in my life when I did an honest double take. I turned back to the closet and counted the everyday tops I had just hung back up. I had No-Brainer hung back up 22 everyday tops. How many everyday tops does a woman with a working washer and dryer in the house need? My mom always said 8, "One for each day of the week, and one to wear while washing the other 7 (she had near 100 in her closet when she passed away)." Now, I may disagree a bit. I run the washer everyday, so theoretically, I could get away with 3-4. But the point is, I had more than enough already. I gleefully turned back to the bed, picked out one ugly shirt (for painting), removed hangers, and donated well over 150 everyday tops! And I have never missed one of them! I decided I would go this route, so I removed all the tops that wouldn't match a simple black skirt or pants. This equaled exactly 1, lol. Then I bagan shopping for those simple black skirts and pants. When I had found enough of them (3 skirts) at my local thrift store, I donated all the rest of my skirts except one simple gray wool skirt for the very occasional use. When I needed shoes I looked for black ones. This means from the waist down I wear black. My tops (and Hair clips :-) are where my wild colors are. I always know my clothes match and I look nice. So much less stress! AND my clothes now only take up about 3 feet of closet space, nice and loosely hung. Hubby simplified his clothes years before I did, and so now we are selling our dressers (we're keeping one for undies), and buying bookshelves and a couple nice chairs for our bedroom. Since we are both bookaholics, this will be a much better use of the space. What could you do with the space if you reduced your clothes to just what you actually need? "How does this honor Jesus?" A rhetorical question I asked my dad the other day. We were discussing decorating for Christmas; dragging out all the boxes of clutter, the running around, and on and on. The fact is, it doesn't honor the One we Christians are supposed to be honoring if we are in slavery to the stress and perfectionism of the season. We are worshiping stuff, not the Savior. Actually I've been becoming increasingly aware at how much SAtan has led modern Christians astray with materialism. How many people for example have told me "I can't afford a godly education for my kids" while living in a 2500 sq ft house and driving brand new cars and paying $200 phone bills every month? It is obvious what the real priorities are. I've been reading a book named "Rich Dad, Poor Dad" Yes, I know this is an old book, but the advise is still good (though I disagree with his opinion of Robin Hood. A close reading will tell you that Mr Hood did NOT steal from the rich to give to the poor. He took money from government (and "church" which was part of the government at that time) officials who had cheated the people by levying exorbitant taxes and gave it back to the people. He didn't rob the rich he knew took care of their people and were fair to them. But that aside....) It makes me realize I need to put more energy into my own business instead of the direct sales company I'm with. Now don't get me wrong, I LOVE the product! One of the training points is always "Wear the product!" to which I respond, "Why wouldn't I? Why are you selling it if it isn't always in your hair anyway?" Duh. This is the only direct sales company that has ever tempted me, and I really joined to get the 30% discount for myself. they don't have any monthly requirements and the annual minimum is so tiny as to be irrelevant, so its a great deal for me. This last year or two, though, I have been trying to grow it as a business. But you know what? I may actually make a bit of a profit by doing this, but the REAL profit has been the marketing they have taught me. I have become a devotee of Flylady. It is really helping my house and other areas of life, to be honest. She constantly preaches that perfectionism is evil. It is the biggest barrier to us getting anything done and the cause of most of our stress. She is right. 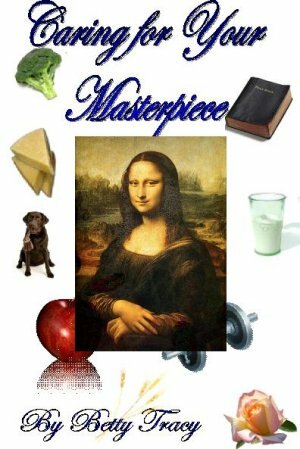 And for our homeschool: The Minimalist Homeschool We can't be perfect. We CAN'T teach it all (no one can, even the government schools). This author recommends we pick the 5 most important things for each child to focus on for this year and let the rest go. SO MUCH RELIEF! How to Strengthen Your Brain to Avoid Concussion The authors son recently fell and had a concussion. I am finding her information interesting. Have you ever thought about not giving gifts? We give to our kids, my parents, and one friend (occasionally we send a box of cookies to my brothers). But that's it. We do the standard Christmas cards, but its only about 25 cards total. Why aren't the rich happy? What if home education could be really simple?